Microsoft has given a totally new concept by introducing Windows Phone 7 tablet base mobile operating system. Microsoft has used HP Slate for this concept. Mobile operating system is very ease handled as compare to full featured operating system used in laptops and desktops. Designer has got the concept from mobile operating system and tries to incorporate this idea into the tablet, which works on the mechanism of Windows Phone 7 operating system. Windows Phone 7 tablet, design is very attractive and eye catching with an 8” touch screen with, easy to handle with folding built in stand. Also embed 2 web cams for 3D video calling facility. 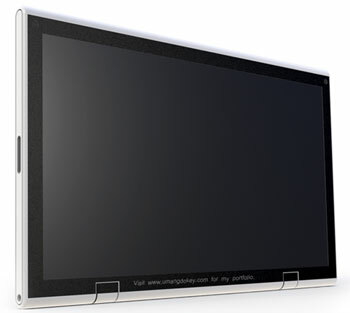 Let s hope and see whether Windows Phone 7 tablet concept convert into practical reality.